Both Nichols and Barnouw introduced their discussions about documentary by acknowledging the difficulty of defining it. Barnouw illustrated complexity by providing a history of the beginnings of non-fiction film narratives, in a discussion that brought Rick Altman's Semantic/Syntactic Approach to Film Genre to mind. That the difficulty of defining a genre (if, for the sake of comparison we can call documentary films a single genre here) lies in the way that genres develop historically. If a set of criteria are to be established for establishing the parameters of a genre, are those criteria to be drawn from existing works? If the works that define a genres parameters predate those parameters, then are the the same definitions applicable to the works that come after them? Altman supported looking at both the inner and outer forms of film narratives (semantic and syntactic, accordingly) in order to evaluate genre in a more fluid and dynamic way, that would allow for the way that new artists tend to push past established orders and blend existing styles. I felt that a similar attention to semantics and syntactics informed Bill Nichols' qualified definition of what documentary films do. That "documentary film speaks about situations and events involving real people (social actors) who present themselves to us as themselves in stories that convey a plausible proposal about, or perspective on, the lives, situations, and events portrayed. The distinct point of view of the filmmaker shapes this story into a way of seeing the historical world directly rather than into a fictional allegory." Nichols was pretty clear that this definition creates a broad scope that can include most, but not all, of what falls under the umbrella of documentary film. Both authors emphasized the always evolving and ever reaching nature of documentary filmmakers, and how the medium is always being pushed by its creators. In large part because of the reputation for verisimilitude and actuality that documentary film making has developed with audience expectation (one of Nichols' four arenas wherein the genre can be changed), documentary film is being used not only to "document" or share plausible accounts of what happened historically, but also to attempt to make and change actual history as it transpires. 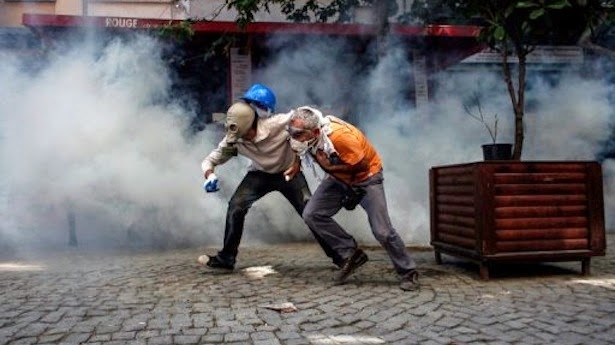 This was especially evident in the documentary film "The Square"(2013). The filmmakers and major social actors were regularly encouraging others to "record everything" in order to use their captured content for the condemnation of their opposition. The power of their uploaded YouTube videos to powerfully contradict public statements from the military and government leaders was remarkable. This power relies on the cultivated response from audiences to associate documentary films and footage with accurate presentation of historical events. As Barnouw pointed out, that response was absent in the earliest documentary cinema, and has been since cultivated. Relying on this tendency of their audience (and I'm still sorting out precisely which audience this film was made for), the filmmakers used a number of intentional constructions to tell the precise story to the maximum effect they intended. 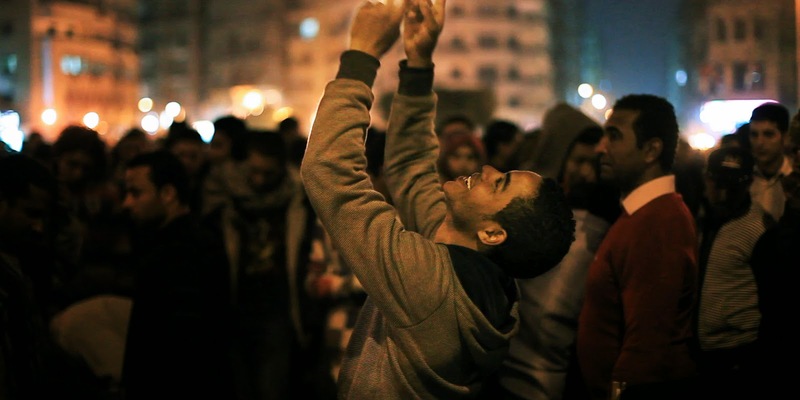 Their documentary, like Ahmed Hassan said of Tahrir Square, is "a place where it's easy to manipulate things." Whether such manipulation is ethical is a subject I expect will be explored but not precisely resolved in our current course of study, but to some extent it seems unavoidable. I got a strong sense that the film combined the most compelling visual images and attempted to portray them as normative. 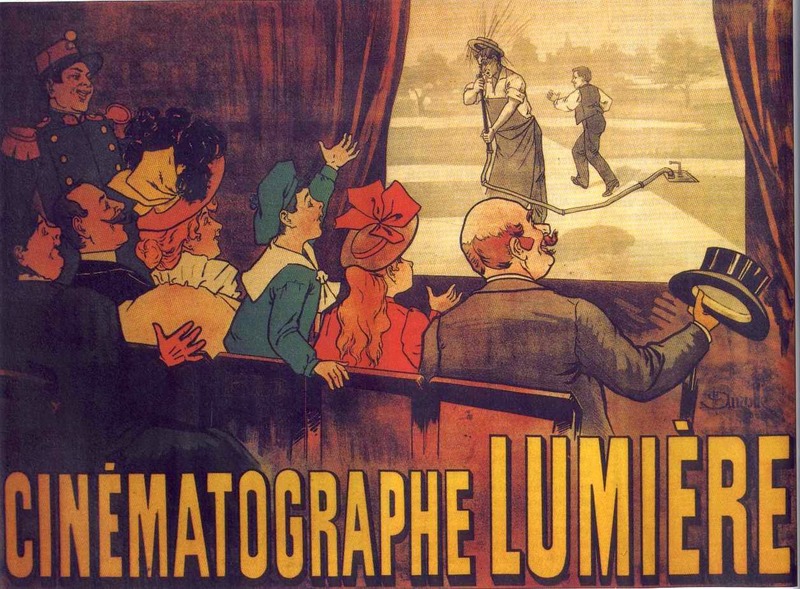 Also, as Barnouw said even the earliest Lumière projectionists were wont to do, the film uses slow-motion to poetic effect when that is compatible with their agenda. (Along with visual vignetting and powerful use of music cues). There was also strong evidence of the casting involved in the piece - that the most photogenic and relatable social actors were chosen to represent the sympathetic causes of the piece, while all opposing groups and individuals were given rather hostile and unflattering treatments within the film itself. It seems, though, their ability to construct this narrative is still a frame and a lens around actual events that provide the bones for their storytelling to add flesh to. There are multiple instances where very imperfect footage is used (to strong emotional effect ultimately) because the event being captured could not conceivably be re-enacted. 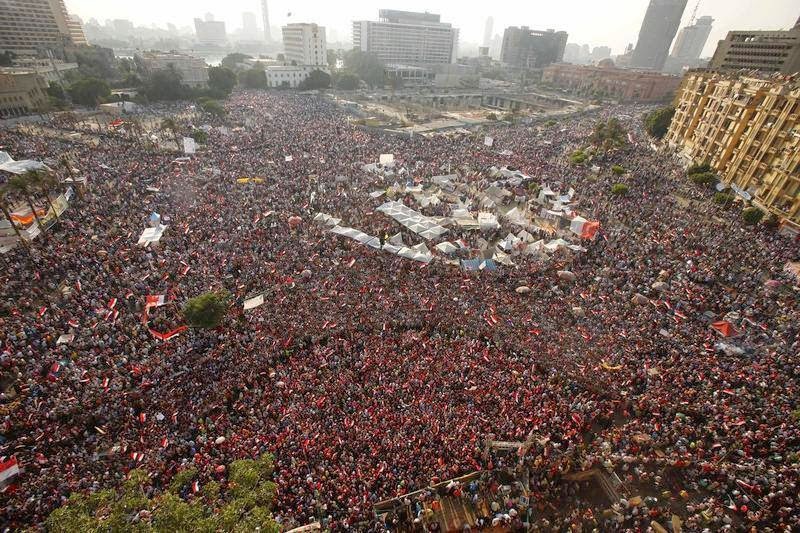 This use of documentary film components to motivate and move people to action is perhaps illustrated best by the sequence in which footage from the revolution is shown as a form of public cinema in Tahrir Square. The processes of documentary production were consistently shown to be affecting history as it unfolded throughout the film. (Including the massive turnout for the protest against the new president, and footage showing their YouTube videos capturing the attention of the American press.) But this scene was also ghostly reminiscent of a Lumière screening. Nice. I like your connection to Lumiere projectionists using slow motion as proto-documentary film editors.